Up and away is compatible with all blinds and blind cords. 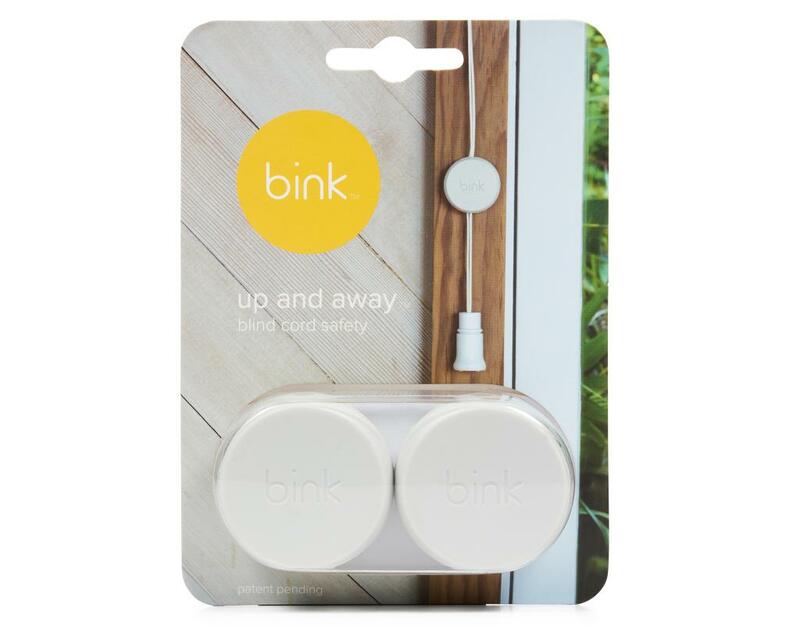 It allows you to quickly and safely secure dangerous cords out of harms reach. Up and away is unique in that it will not compromise or interfere with the function of your blinds in any way. 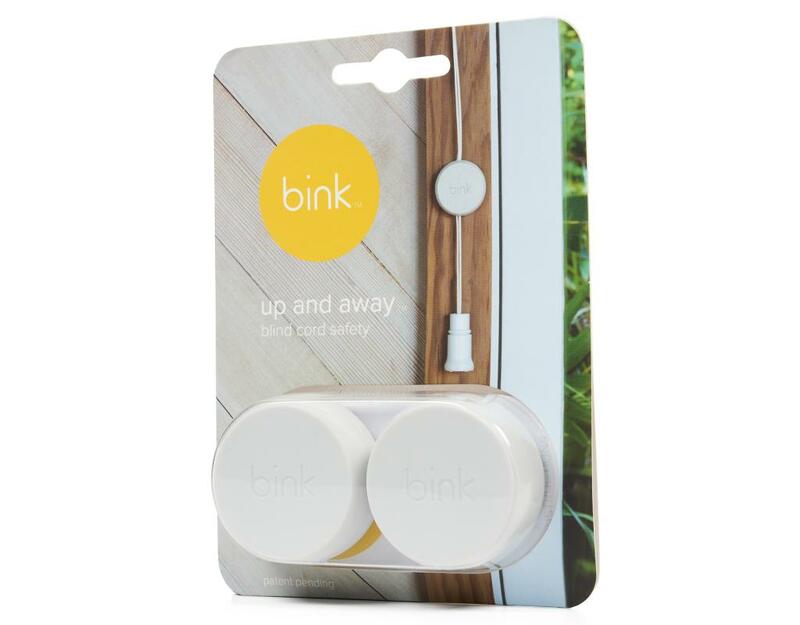 Up & Away is the first ever magnetic, blind cord safety solution. 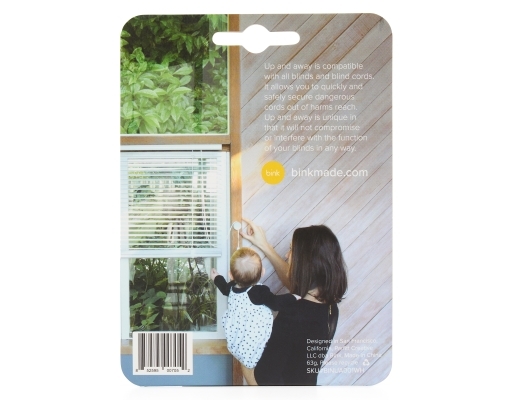 It is the simplest and most reliable way to secure dangerous blind cords out of reach. • Hassle free. No more winding, unwinding, looping, or fiddling. 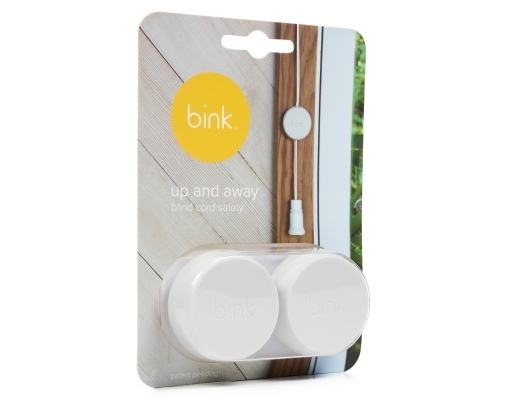 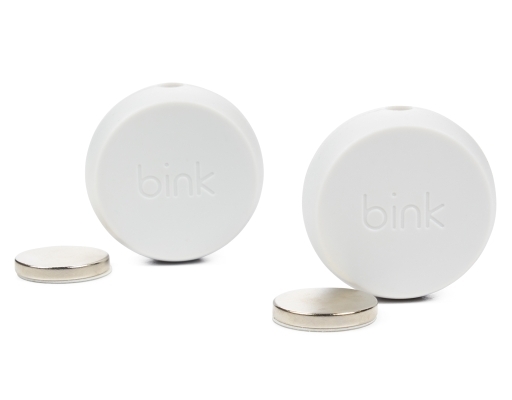 • Simply pops on and off the magnet when you need to open or close your blinds.